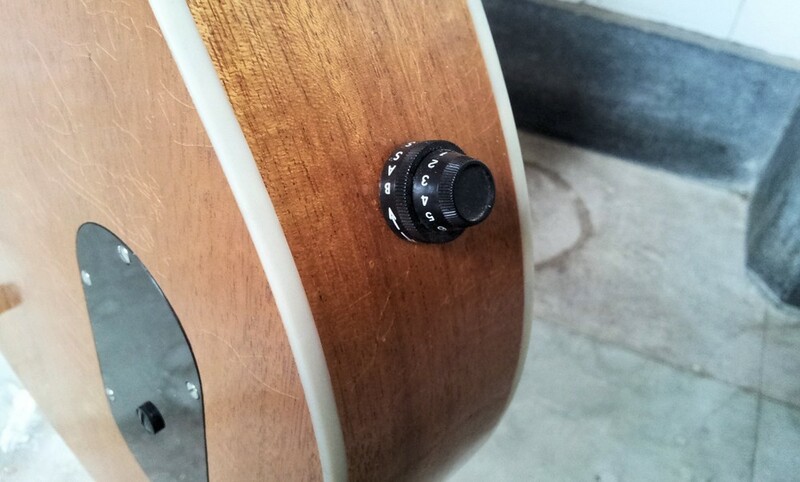 The Dome has a wonderful acoustic sound, but of course in situations where the guitar is played with other musicians amplification is needed. 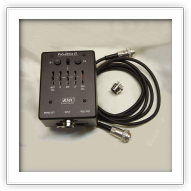 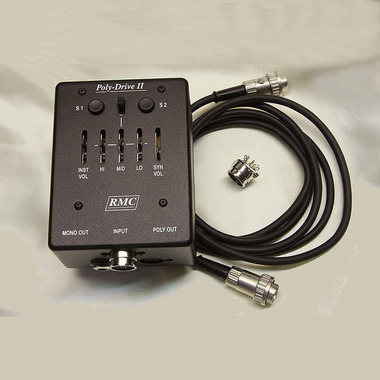 The Dome offers 2 choices of; modern RMC piezo pickups and an RMC pre-amp, or old school Ovation piezo and pre-amp, pre-1985 old school equipment; around 40 years old and still going strong! 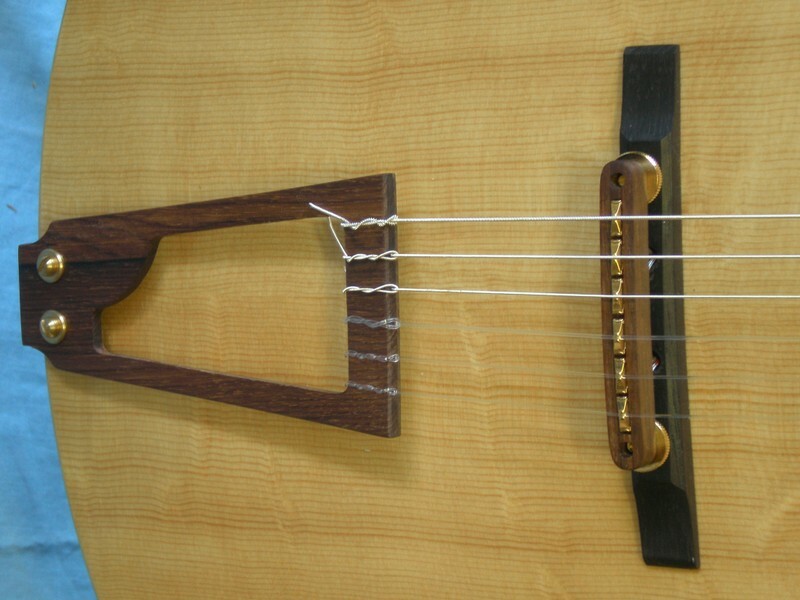 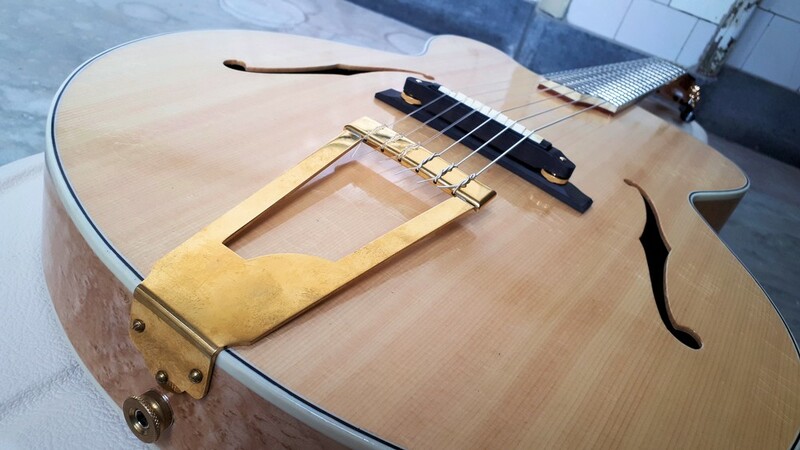 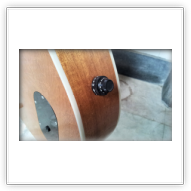 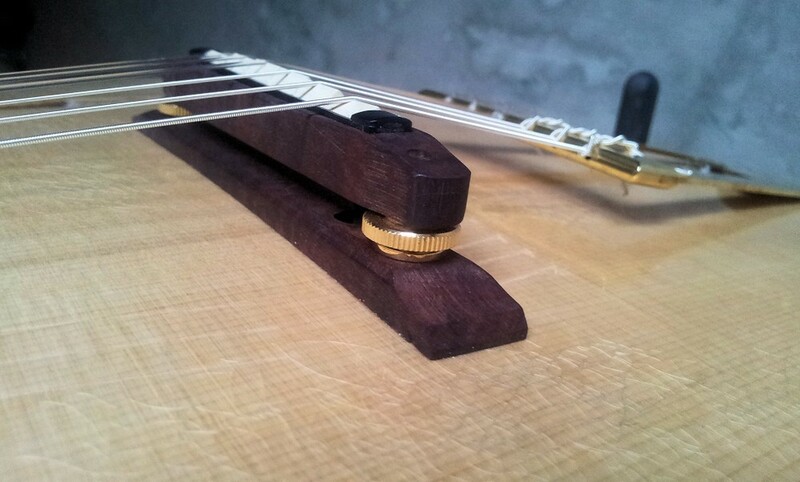 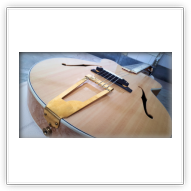 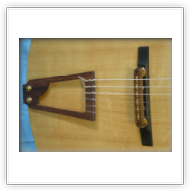 The Ovation components are e great match to the acoustic sound quality of the Dome guitar. 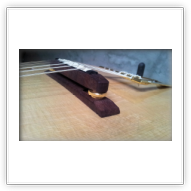 The combination results in a traditionally hand made modern nylon string jazz guitar with vintage quality amplification; truly 'Old School' !